Functional safety is one of the crucial key technologies in the automotive industry. The rising degree of automated driving increases the amount of electronic functions that define the driving experience—and these functions must be safe. Car makers therefore rely on AUTOSAR and need ECU software that is developed and integrated in compliance with the ISO 26262 Functional Safety standard. Meet your customers’ needs and gain an initial understanding of this topic through one of the leading companies in automotive software that deals with Functional Safety according to ISO 26262. Are you interested in the goals, the exact content, and the prerequisites of this training? Read more. Simon Friedmann works as a Senior Expert for Elektrobit Automotive Consulting. 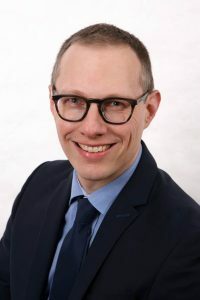 He advises companies in the automotive sector on topics such as functional safety, requirements management and engineering, as well as project management. Mr. Friedmann gained his functional safety expertise in developing active medical devices for more than 10 years. In tasks like project management, and software development according to standards such as IEC 62304 and IEC 60601, he gained functional safety knowledge also outside the automotive industry. In his current position, Simon Friedmann combines his experience in different industries to achieve sustainable added value for his training participants.